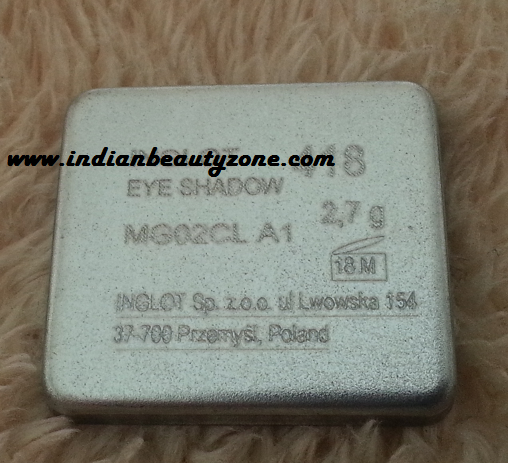 Having reviewed Inglot pearl Eyeshadow DS 494 earlier Read it HERE, I am back now with another one of my favourite eye shadow Inglot 418 Pearl. 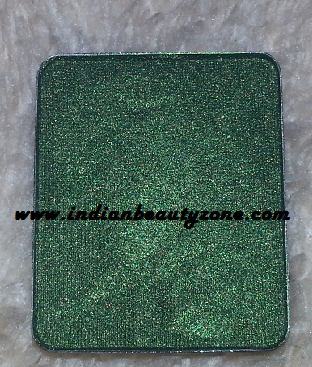 It is a beautiful dark green shade with gold shimmer in it. The colour is very pretty and would suit all skin tones. 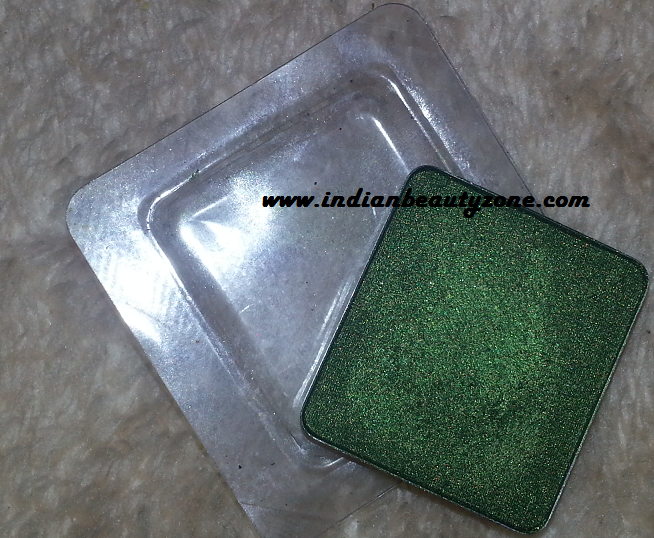 This is really attention grabbing eye shadow and will definitely enhance your eyes by giving them gorgeous looks. I bought three colours but this one is my favourite. It is a quite wearable and must have shade. product is like butter. There is hardly any fall out. The colour is perfect for Indian parties. easily brighten up the looks. Indian beauties. The texture is very nice and provides intense colour coverage. the plastic cases they come in. instead of Black eye liner to enhance my eyes. Buttery smooth texture and blends like a dream. 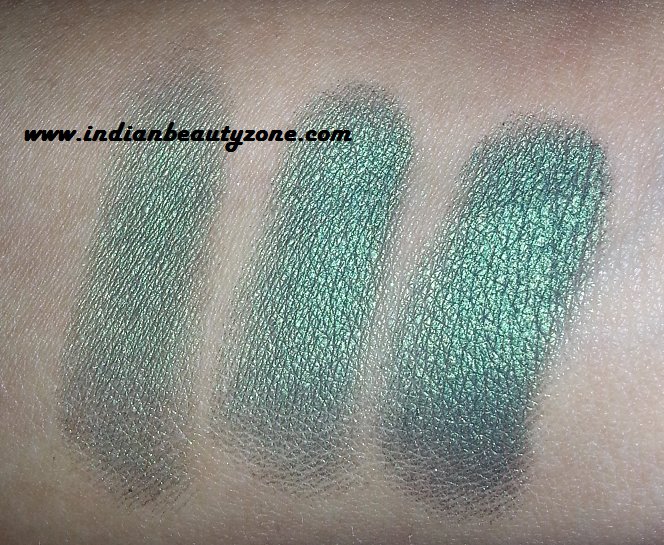 The shade looks very lovely and silky green, I love it very much, I am gonna try this soon, Awesome party wear shade Teji. I have never tried this shade...but your eye swatch looks really good Tej! Very beautiful shade. I love greens and blues in eye shadows n liners. Amazing review Teji, and the shade absolutely stunning. thats such a lovely shade!!! And your EOtd is beautiful with that sparkly liner. Tej this is a super gorgeous shade and the MUA one you gifted me seems to be the exact dupe of this. I love that one thank you <3 Very nice review. ohh yeah completely forget about MUA which i gifted you...that was green too and pretty as well..want to see your EOTD...please review that one na.. I love this color! Wonderful review! wow a very nice shade:):) nice reiew.. Very nice review.. We would love to collaborate with you; we are a social shopping site www.baggout.com My mail id is deepak.jain@baggout.com; please let me know.